Today i am sharing a pocket letter that i made for a swap. 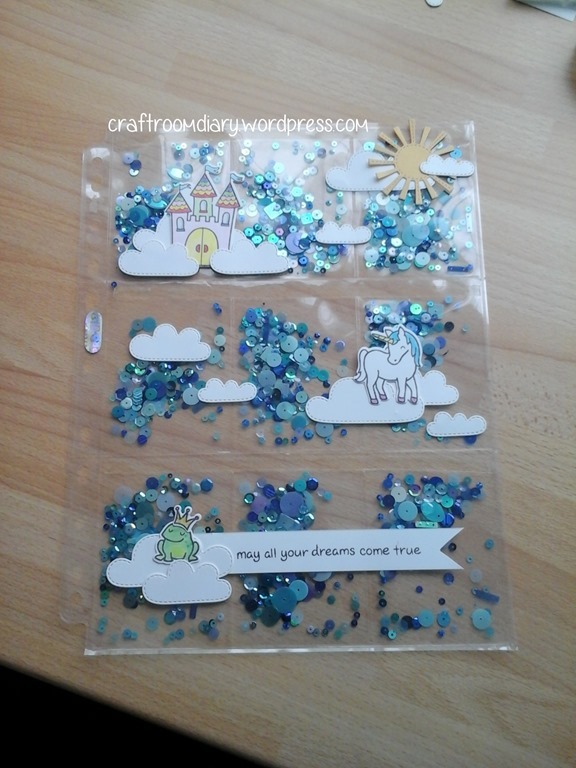 I had had an idea floating around in my head for a pocket letter filled with sequins to create a sky feel, now this is a slightly different way for pocket letters as traditionally you fill the backs of the pockets with treats for your swap partner. The images are all from Lawn Fawn and are coloured in pencil. Ohmygosh!!! That is truly stunning!!!! Such a creative soul you have! LOVE IT!! !